As a farmer you have a legal responsibility to ensure your animals are transported in a way that won’t cause them any harm or unnecessary injuries. There are legal responsibilities in place to protect the livestock during transit. The rules in place vary depending on the distance and duration of the transportation taking place. It is also dependant on the species of the animals involved. Although the EU rules apply to all live vertebrate animals which are transported for economic reasons, tougher elements apply to the transportation of farmed livestock. Poultry- i.e. ducks, geese, turkeys and pheasants. To ensure you are in line with the law when planning the transportation of your animals, always plan your journeys thoroughly and where possible keep the duration to a minimum. All animals should be fit for the journey and should be checked on regularly. 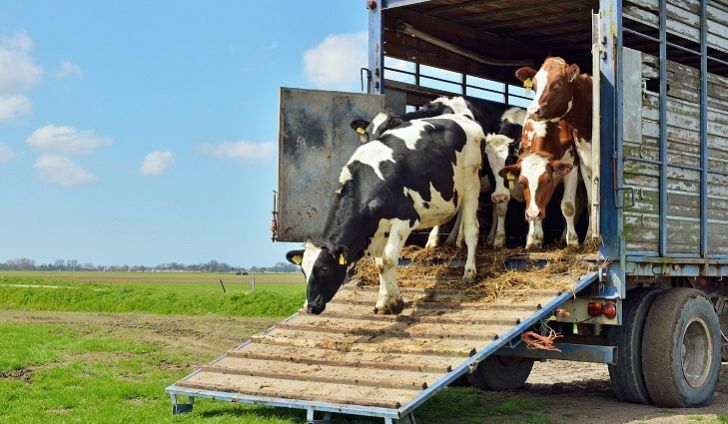 To avoid any injuries and suffering, it is paramount that suitable loading and unloading facilities are maintained and constructed when transporting animals. Food and drink should be provided and at hand for the journey. The vehicle for the transportation will need sufficient space for the animals and height allowance taken into consideration. Animal transporters must be competent in handling animals and mustn’t use any methods which would be likely to cause injury, fear or suffering to them. If a journey is 8 hours or more and involves transporting cattle, sheep, goats or pigs, a vehicle inspection and approval is a legal requirement. These journeys also require the vehicle to be equipped with a satellite navigation tracking system. The purpose of these systems is so that enforcement officers can check the planned journey and accurate and legal. The legal obligation of protecting livestock from any unnecessary suffering includes extreme temperatures. All farm animals should have adequate shelter and protection. Emergency contingency plans should be in place for each journey. Previous : What Does Your Sleeping Position Reveal About Your Personality?